You can see all kinds of questions related to how to recover data from Lenovo phones and tablets in Google, like, "How can i recover deleted photos from Lenovo Vibe", "how do i recover deleted data from broken Lenovo phone, since it’s broken and I ditched for a new phone", "how to recover deleted photos from Lenovo phone", "how to recover deleted photos from Lenovo A6000, A7000, tablet?". Actually, it’s not troublesome to get the solution. In the following, I’m going to tell you how to recover deleted photos or any other types of files from Lenovo phones and tablets. Check it out. Whenever you find you’ve lost some data or get the photos deleted from Lenovo phone or tablet, stop using it right away. The better way is to power it off until you find the right tool for Lenovo phone/tablet recovery. Any further operation on the device will cause data loss forever. We’re going to recover the deleted photos from Lenovo phone via computer. It’s the safest way and avoids data overwritten on the phone. Any app running on phone namely as data recovery software doesn’t work at all. It will get everything messed up. As you can see the deleted photos are still on your phone but marked as useless. When installing the so-called data recovery app on your phone, it will erase all the deleted photos. Don’t risk. 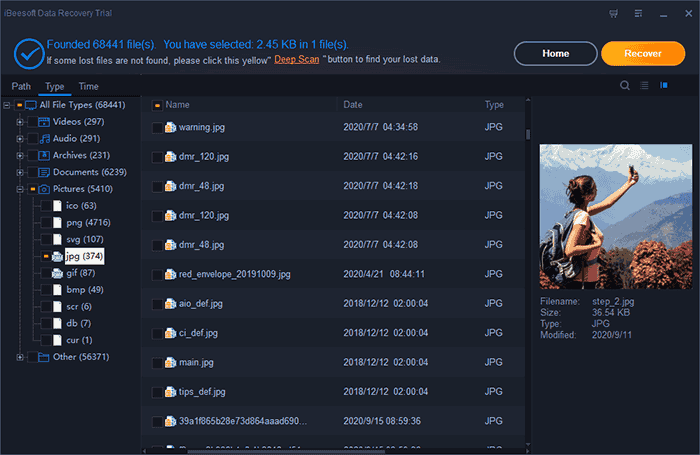 Supports more than 500 file types, including all kinds of photos, like JPG/JPEG, TIFF/TIF, PNG, BMP, GIF, CRW, SWF, SVG etc. It is compatible with Lenovo phone and streamlined navigation for individuals. 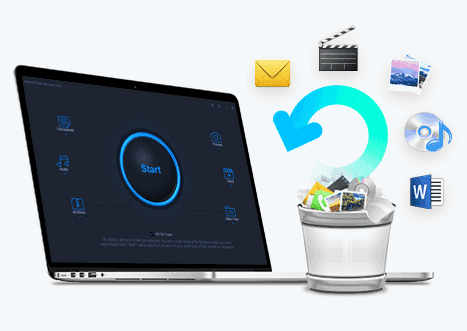 Has separate version for Windows PC and Mac to easily recover deleted photos from laptop, desktop, USB drive, phone memory card and more. Whether you’re using Windows PC or Mac, you can download the right version for your computer. Both versions work great. After then, install the software on your computer like you install the other software. It’s virus-free. Use a USB cable to connect your Lenovo phone with your computer, making sure it is detected by your computer as an external hard drive. If not, please find the Settings > Developer, enable the USB debugging. Launch the Lenovo data recovery software. From the main window, select the file type(s) you want to recover. Here you can keep the "Pictures" checked and uncheck the other types of files. It will save time for the whole scanning process. By default, all supported file types are selected. You can also keep them all selected. Though it takes longer to scan the phone, more files it will find as well. Click "Start" to recover deleted photos from Lenovo phone/tablet. From the next window, all partitions of your computer as well as external hard drives. Please select the one that represents a Lenovo phone and click "Scan" to found the Lenovo phone/tablet lost data. 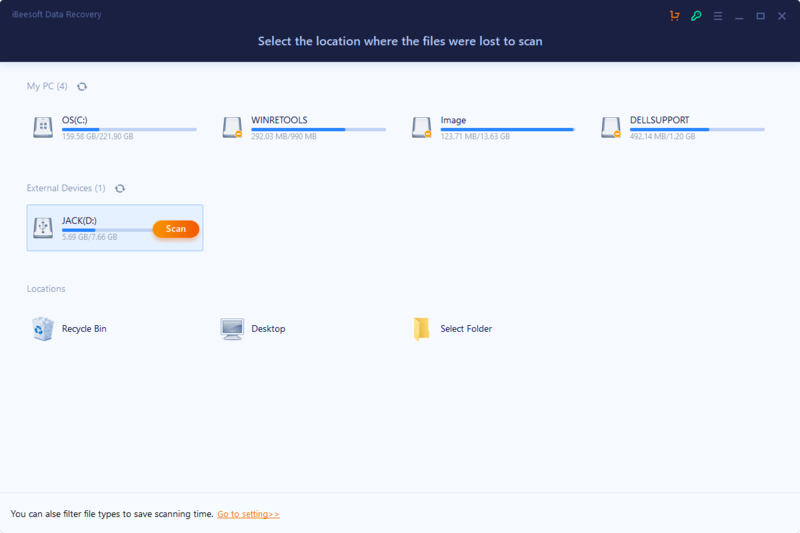 During the scanning process, you can see files are found by the Lenovo phone recovery software. It might take longer. It depends on how many files it found for you. After the scanning process, you can see all files are sorted into categories. From the left side, you can select the photo format to filter the found photos. Select the ones to preview and recover by clicking "Recover". If you find not all deleted photos are recovered from the Lenovo phone or tablet. You can try the "Deep Scan" feature in the result window. It will scan for more photos for you.